I had two styles planned out. The first was to make them like a 'party favor' with a twizzler as the stick. 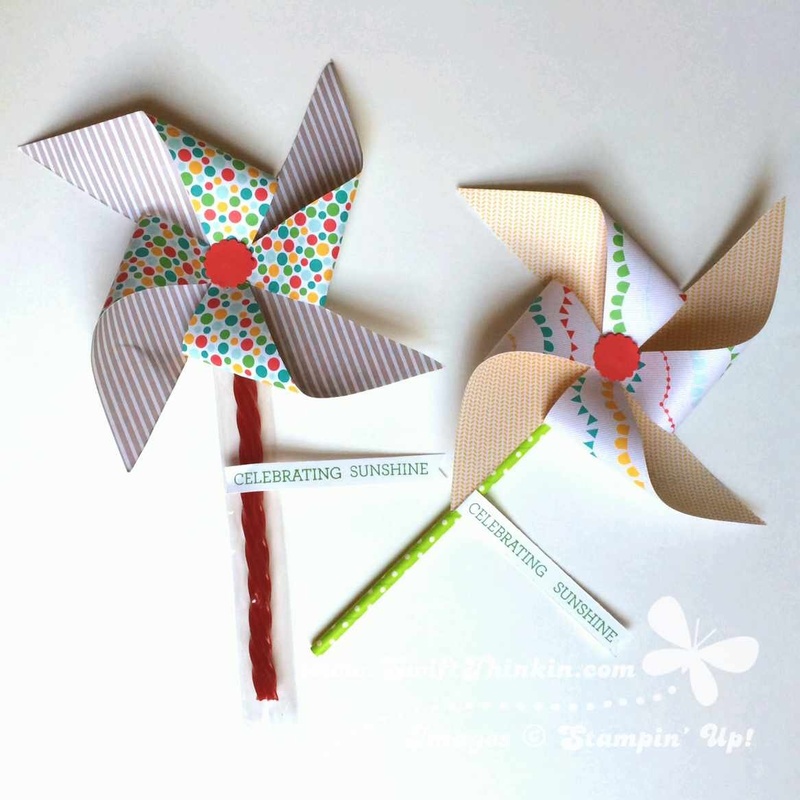 I think these would be so fun to give out at a summer BBQ someday! The other option was to use a paper straw for the base... all the girls chose option #2 (so that they could eat their licorice right away LOL!). 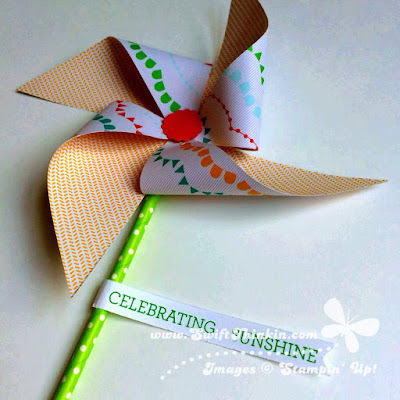 If you've never made a pinwheel they are super easy! Just take a square of DSP and fold it in half diagonally, open it, and fold it diagonally again the other direction. While it is folded use a hole punch to add a small hole right in the center where the creases meet. Then open it up and cut in about 3/4 of the way to the middle on each fold. Next you are going to punch a hole in every other point (so one of the points from each corner- always on the same location). Push a brad through the center and then fold each of the punched points down to it. Open the brad and then cover the middle with a punched decoration to hide the brad legs. and you're done!